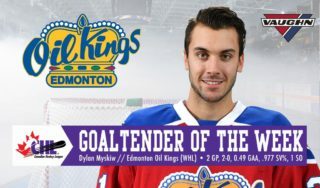 The Western Hockey League announced today that Dylan Myskiw of the Edmonton Oil Kings has been named the WHL Eli Wilson Goaltending Goaltender of the Week and league nominee for the Vaughn CHL Goaltender of the Week for the week ending February 24, 2019. 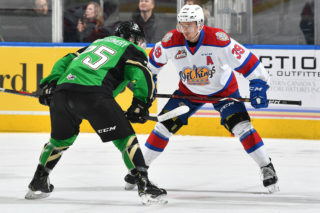 In three appearances this week, Myskiw sported a 3-0-0-0 record, 1.00 goals-against average and stopped 88 of 91 shots for a .967 save percentage as the Oil Kings continue to hold on to the Central Division standings lead with 76 points. 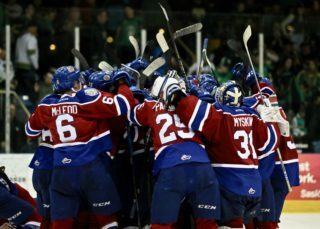 Monday, Myskiw stopped all 38 shots directed his way in a 5-0 win against the Medicine Hat Tigers. Achieving his first career WHL shutout, Myskiw stopped 15 shots in the first period, 14 in the second and nine in the third to earn the first star of the game and first star of the night in the WHL. 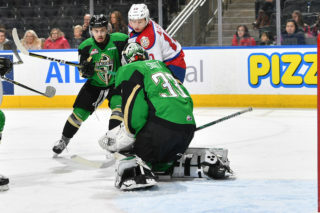 On Friday, Myskiw continued his stellar goaltending by stopping 29 of 30 shots for a 2-1 home win against the Red Deer Rebels and was awarded the first star of the game. The following night in Red Deer, Myskiw earned the second star of the game, stopping 21 of 23 shots. 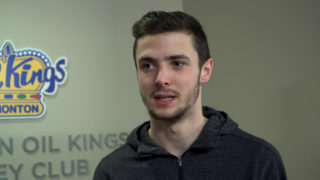 The 6-foot-1, 175-pound netminder was originally selected in the sixth round, 112th overall, in the 2014 WHL Bantam Draft by the Victoria Royals. In his third season, the Winnipeg, Man. native has posted a 23-11-2-3 record, 2.68 GAA, .910 SV% and one shutout. 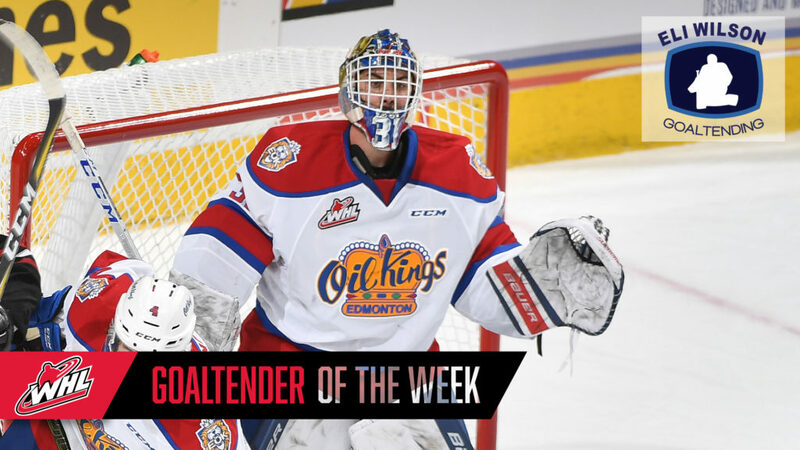 This week marks the first time this season Myskiw has been named the WHL Eli Wilson Goaltending Goaltender of the Week. 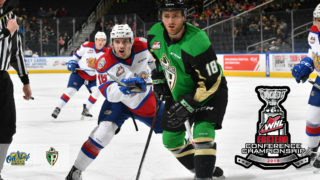 Up next, the Oil Kings will host the Swift Current Broncos on Tuesday, February 26 (11:00 a.m. MT) at Rogers Place.